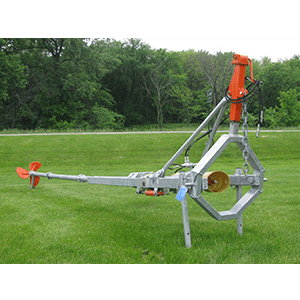 A variety of propeller mixers suited for the most challenging applications. The unique self-cleaning propeller is designed for applications where the treated mass must be kept in a homogeneous state without dispersing the characteristic gasses used for biogas. Entirely hot galvanized structure, Oil bath transmission and driveline, Double widia mechanical seal, Over-sized reduction gearbox in relation to actual power, Stainless steel propeller support shaft, Self-cleaning three-blade propeller and Customizable for special requirements.